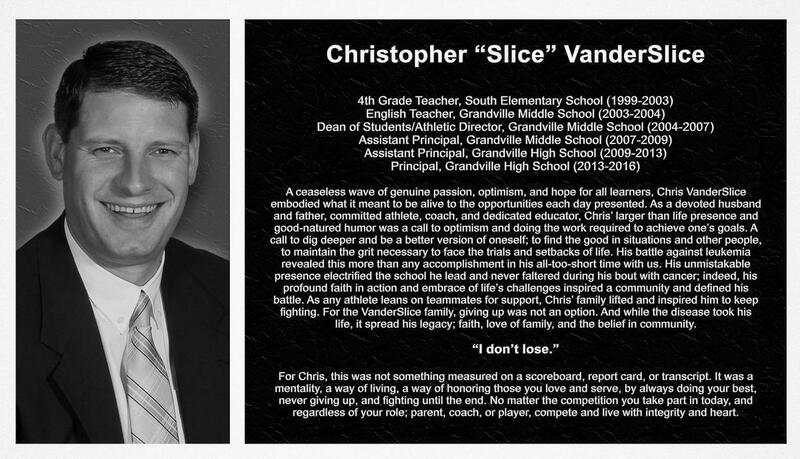 On Friday, Jan. 18, during the interim between the girls and boys basketball games, Grandville High School will dedicate and name the school’s east gymnasium in honor of late principal Chris VanderSlice. The first game is at 6 p.m., and the second game begins about 20 minutes after the conclusion of the first game, around 7:30 p.m. 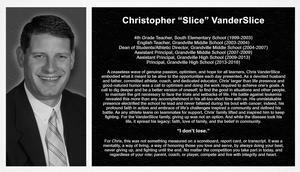 The dedication is expected to take place at approximately 7 p.m.
VanderSlice, 40, died in October 2017 after a 4-year battle with cancer. 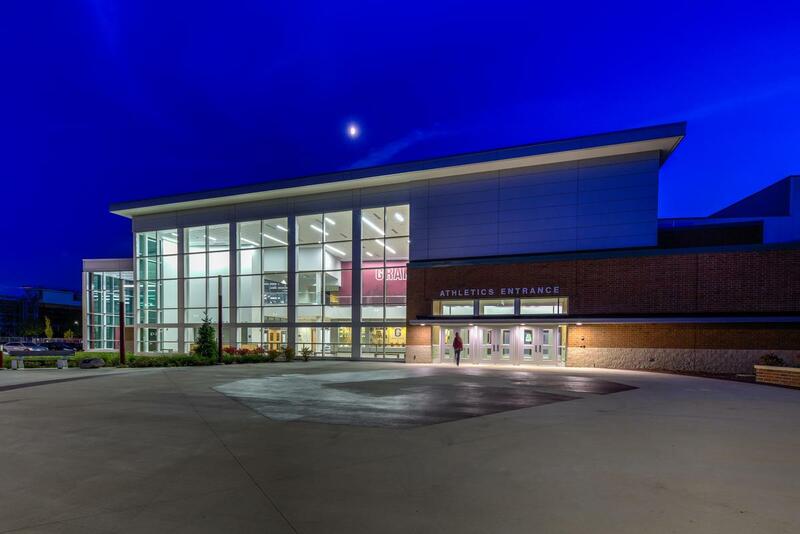 He had served as an administrator and teacher for Grandville for 17 years. Naming the gym VanderSlice Gymnasium is an apt tribute, as basketball was a big part of his life — he played more than 90 games for Hope College, and his two daughters play basketball as well. The community is welcome to join in the celebration. Admission to the game is $5 for adults and students. 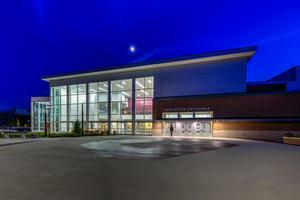 From the Wilson entrance to GHS next to Costco, the main gym is located inside the building doors marked "Athletics Entrance" (see photo).